Tina Chan. My sister Tina can often be seen standing very quietly on the sidelines. Recently she performed in Knoxville, at Sifu Leroy Kautz’s 18th Anniversary show. She always impresses the crowd with her determination and skill. Although Tina is not interviewed in the movie, she is very much present. She is true Wah Lum. 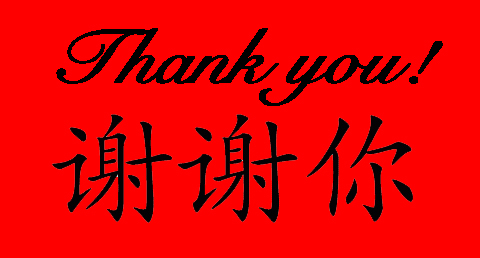 Every Chinese New Year, every anniversary show, and every Wah Lum event she participates in whatever way she can. When Tina was born she was only one pound and eight ounces. She had less than 10% chance of survival…but her kung fu spirit fought for her, and she is here today teaching at the Temple! Although she says very little, when she does, it is profound. She has a special presence that reminds me of someone else I know… oh yes, our father, Pui Chan. Tina’s strength and determination in everything she does constantly inspires and amazes me. Although she has some limitations (cerebral palsy) it never stops her. I admire my sister and am grateful that I have her to look up to. 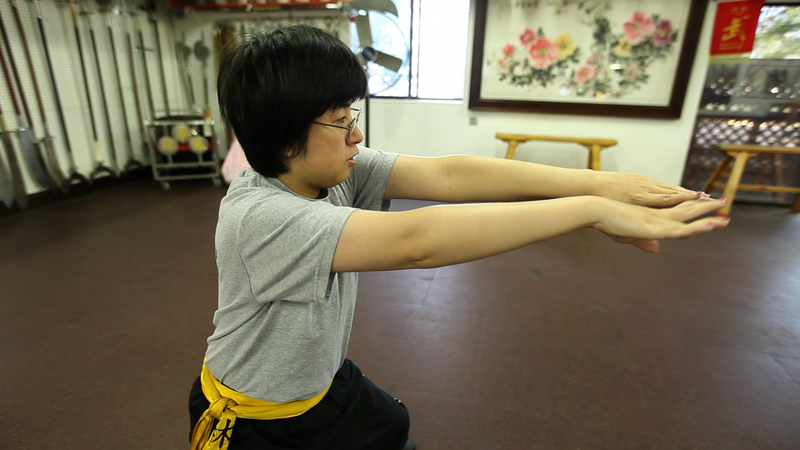 Look for Tina doing kung fu in the award winning documentary: Pui Chan: Kung Fu Pioneer! CENFLO Recap – What a weekend! The dust is starting to settle as I try to move onto the next festival, marketing, and promotion of our film. I wish I had the ability to relax and take in all the excitement from the weekend, but those who know me…well, you know! CENFLO was an amazing weekend. For our first film festival, we certainly felt like VIP stars! Our screenings were all sold out and we got tremendous feedback from movie watchers, friends, family, students, and fellow filmmakers in the industry. The best part about the weekend was meeting new friends and associates. I was so impressed with several projects, but unfortunately did not get to see as many as I would have liked. The Bunglers and The Shot were two of my favorite films there. Moving forward we hope to screen at many more festivals so that we can share this inspirational film with everyone! My father, Grandmaster Pui Chan, was thrilled with the excitement of the weekend and gladly helped accept the awards on Sunday night. It was certainly a great start to our festival run. 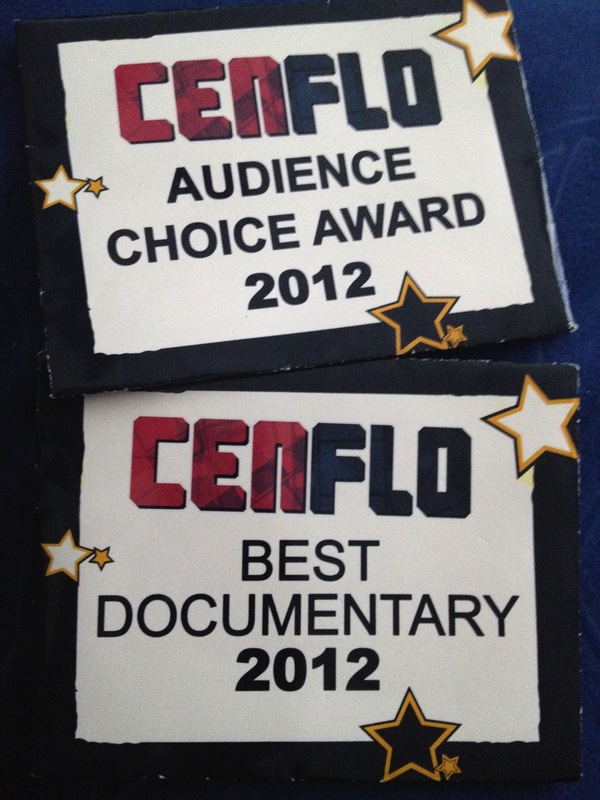 I am deeply honored and moved by the Awards we received: Best Documentary and Audience Choice! As a first time filmmaker this is an immense honor and I am truly thankful to everyone who voted for us, and to Cenflo for recognizing our film with the award. Check out our Cenflo Highlight pics on Facebook .